Call us on this phone number 020 3746 5234 right away! Contact our expert and polite customer care representatives. Contact them in our website, meet your questions and inquiries non-stop. Get the detailed information about our premium Camden Town NW1 upholstery and sofa cleaning company immediately! The very first thing you need to do is to contact our kind and polite client support representatives. Know that the whole team in RA Sofa Clean is understanding and we are prepared to meet your professional and personal program. We work 365 days per year - with no exceptions for holidays and weekends. 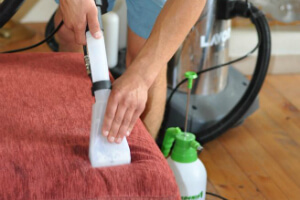 We are also pleased to arrange for you same-day or urgent sofa and upholstery cleaning service in Camden Town NW1. The talented cleaners will come to your location in advance to check the furniture and to give a final date for the service. We provide you free estimate in advance, too. Please note that we don’t charge you for stain removal or for any equipment. Whether you want frequent support in your office or home upholstery cleaning, or you have recently created some stains you can’t remove, we can assist you with a suited solution. Our work is concentrated on the unique approach to each client, but we always present perfect final outcome. We tend to offer you personal attitude and we never leave a place with not finished job. The thorough and hard-working Camden Town NW1 sofa and upholstery cleaners start with a primary inspection of the furniture. This can help them determine the most appropriate for your personal case cleaning choice. Dear customers, we are happy to tell you that RA Sofa Clean is always generous with special discounts and deals. Please note that if you order our high quality upholstery and sofa cleaning service in Camden Town NW1 with other service, you will get the second one on half price. We recommend you our modern mattress cleaning procedure on a budget. We can add bed bug treatment to it. The method is absolutely child-safe and environment-friendly. We use ultra-violet lighting system to disinfect and to kill the microbes the fibres without making you wait for the mattress to get dry for a long time. Use this phone number 020 3746 5234 at any convenient for you time! Get a free quote now or make a direct reservation for our affordable sofa and upholstery cleaning service in Camden Town NW1!